As part of the 30 day anime challenge, I will be answering question 6, discussing anime’s which I want to watch but haven’t yet got round to watching them. The one thing I really missed out on was the fact that I have missed out even on the big name anime’s which many anime otaku would have already seen. So, first of all I’d like to mention that I’ve watched anime from a very young age, over 8 years starting from anime’s such as Naruto and Bleach. Moving to other big names such as Avatar (America anime?) to even more anime. Over the years, there are usually a number of great anime’s which are released. These can include anime’s such as Full Metal Alchemist (FMA). 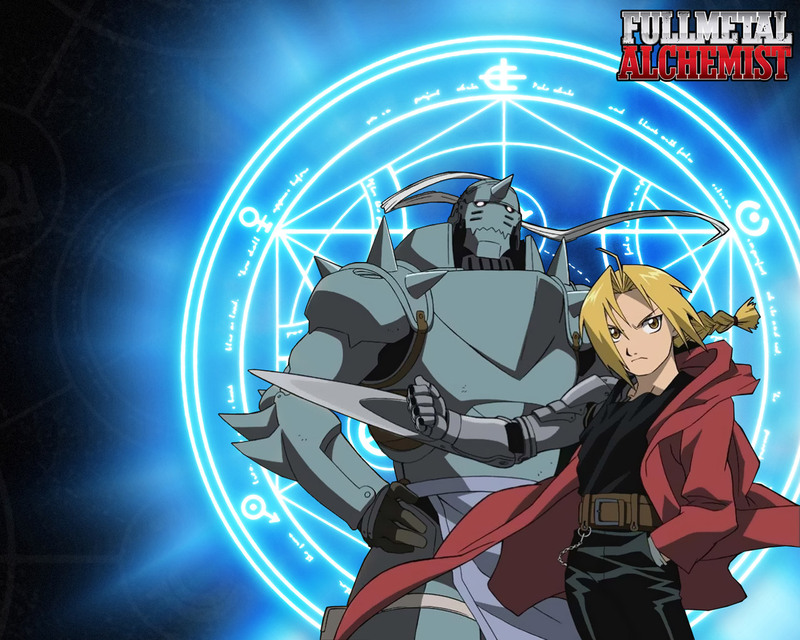 There has been a lot of hype concerning FMA, from its second series FMA: Brotherhood, it’s gotten a lot very popular. It’s one of those anime’s which reached my ears, I began watching it but somehow gave up after a few episodes, maybe there wasn’t enough of the series to persuade me to catch up? Dragon Ball! Possibly one of the largest anime series, largely followed and loved by many young and old fans. Being one of the greatest anime which has ever been produced, and well-known to many around the world. Being a large anime fan, I’d have thought that the anime would have been top on my list to watch. But it’s not. 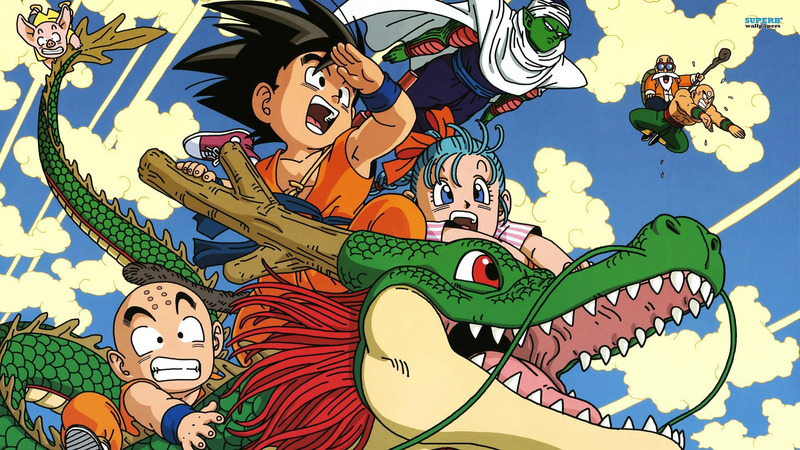 Ever since I was small, I had slight exposure to Dragon Ball, a lot of people around me watched it and loved the show. However, there was always something that made skip the show or something else to watch. Even if the anime was supposedly amazing, I’d always have something else to complete. Even now, I tell myself that I will watch the show, but have never got round to it. I began watching One Piece, which is another great anime. If I hadn’t, it would have gone along well with this post too. Nevertheless, I will keep telling myself that I will watch it and wait till I get enough time to rush through the series watching the show as well as the awesome movies. So, finally to turn this question around, what are some series you’ve missed but would like to go on ahead and watch? Go ahead and comment down below telling me and others how you feel. I actually had the same experience with Dragon Ball. I got through some of it, but I always had to watch something else first. I want to find out where I stopped. I finished FMA. I actually enjoyed it. Fairy tail and One Piece were the ones that I stopped watching after a few episodes. I gave One Piece another. I guess I can do the same for Fairy tail? Hmmmmm I think OP is better than FT, I believe that FT is stil getting popular, but OP has much more of a diverse set of cast and story. FMA is supposed to be awesome, I should give it some time. Ya I’ll have to agree with you. One Piece does have a more diverse cast. Its what makes me get past their weird and unique artwork. And the fights are really cool! I’ll admit though, Fairy tail has some good looking dudes. Their names are weird in a cool way. FMA does get much better. Both of them are. But I personally like the Brotherhood one cause it explains things better. Ah, now this is one of those lists where I have quite a lot of shows! The biggest one would be Saint Seiya! It looks like DBZ, but set in space so that really sounds like my kind of show. The original series is quite old at this point, but I’m fine with that and still want to check it out someday. It’s sort of long though. Gundam is a franchise that I haven’t even gotten into yet, but I can tell from the games that I would enjoy it quite a bit. Zoids, Medabots, Hitman Reborn, Kenshin, Hikaru No Go, Slam Dunk, Eyeshield 21, etc, etc. There are just so many shows that I need to see and at home I own quite a few shows that I haven’t even been able to see yet like Sengoku Basara and Air. There’s just not enough time for it all. Still, if the answer is limited to the first two choices, then I’ll go with Saint Seiya and Gundam. I think there was a new Saint Saiya series this season? And a Gundam series next season. Agreed on series like Slam Dunk, hitman reborn, I began watching them but hasn’t quite finished them. Well, I’d want to start from the beginning with Saint Seiya and Gundam. Then I get to do a fun marathon of the whole franchise like with Danball Senki or Slayers. It’s great because then you can watch like 3-4 shows and the movies back to back. It’s super time consuming of course though. I stopped watching bleach after the aizen arc. Have yet to watch one piece. Lol. Alot of fans stopped after the Aizen arc, but the manga has given the series some justice. OP is also awesome. I saw a OP movie that has nothing to do with the main story. I liked it. It made me want to watch the main story. I’m in the 53rd chapter of the manga I think. I think if I was you, I would watch the anime till your all caught up, skipping the filler episodes. And then once youve reached the latest episode, reading the manga, this is what im currently doing. Hmm we’ll see. I’ll take your suggestion into consideration.